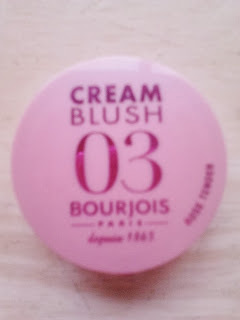 I have really fallen back in love with the Bourjois brand, the quality is fantastic, the packaging is beautiful, a good price for what you get, it's so well worth it, they are one of the top make-up brands on the high street in my opinion. 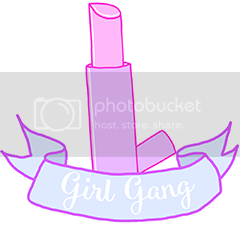 I got this shade in Rose Tender. 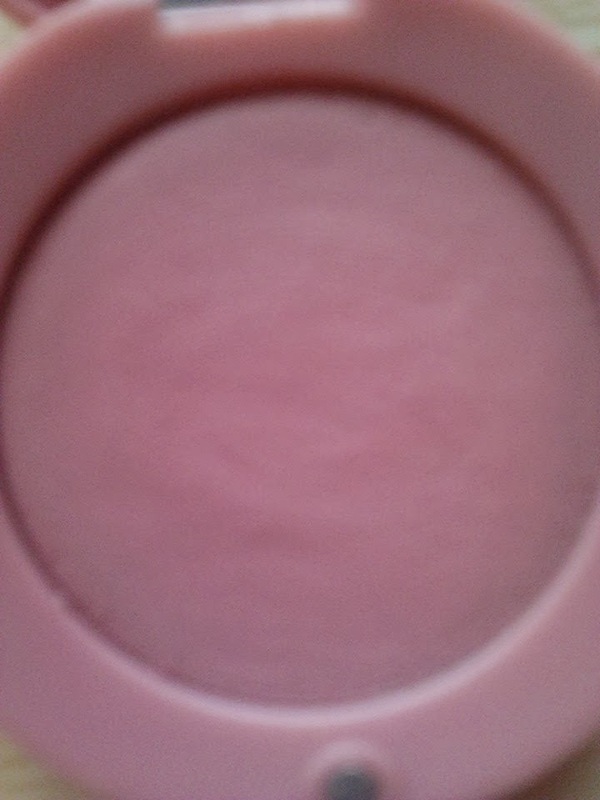 It's a beautiful warm pink with a golden undertone with tiny gold flecks, very subtle, but gorgeous. I would recommend this shade for the paler girls, it can be built up to achieve how dark you want it, or if you're going for a barely there look. 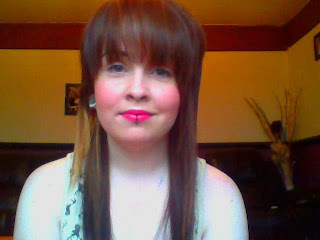 It warms up a pale face, without it being garish, it really suits me. 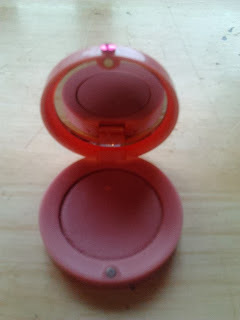 The packaging is great aswell, you press a tiny button in and it opens and a magnet closes it, so it doesn't open in your make-up bag and break and ruin your make-up, which some of my blushes have been known to do. It's a cute, small pot, with a small little mirror on the inside, making it easy to pop into your bag and use on the go. I love that the texture is smooth and creamy, but once it goes onto the skin, it changes into a powder, making it super handy to blend. Once it goes on your cheeks, it doesn't feel like you have anything on at all, it feels like a second skin and it gives a nice, healthy and natural look. It looks great in both natural and artificial light. It doesn't look powdery or ashy, either, which some blushes in the past have made me look. I used this over Bourjois Healthy Mix foundation, and they look fantastic together. When I first used it, I was a small bit confused as to how to put it on to the skin, a blush brush or a foundation brush? I tried both ways, I found that a blush brush was easier as it gave a more even and more coverage over all. It seems that I will get a long time out of this blush. This originally cost €9.99 at my local chemist, but it turned out to be €3 cheaper, so I paid €6.99, brilliant! The range altogether has four shades, which doesn't seem like alot, but the four shades are so different and diverse from each other, they should suit most skin tones. I am really happy that I have finally found my holy grail blush, and you really get what you pay for in this blush. 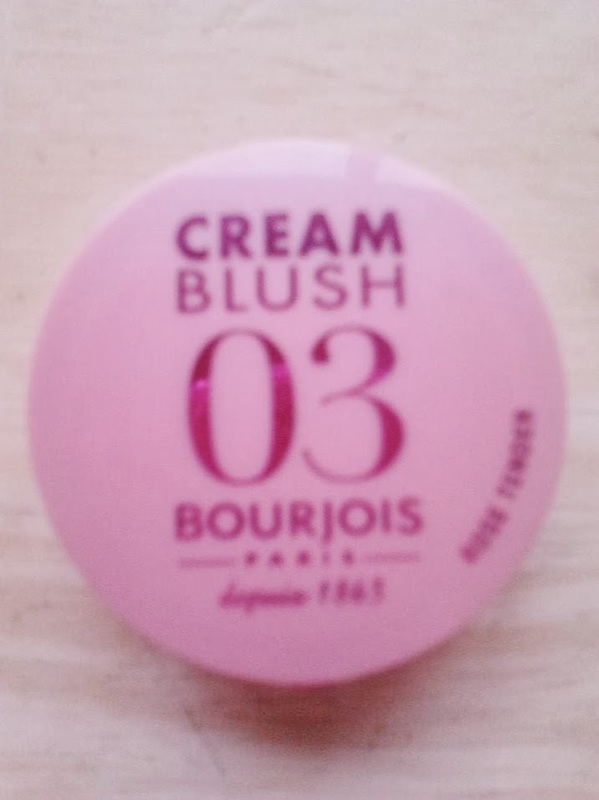 Hats off to Bourjois. Their products never fail to make me happy. I will definately repurchase, 10/10.